I cannot upload a featured image for a video I've uploaded. I can select an image and crop on the video edit page it but it will not upload. 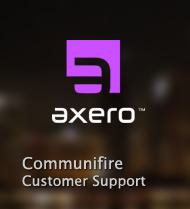 I just get the continuous processing Communifire icon. Is an error printed to your browser's console? Right-click the page, click Inspect, then click the Console tab to check. Can you please try now? No change. Can't upload feature image. There appears to be a bug, I tried uploading a .mp4 in your intranet and experienced an issue. We will get with our engineers and resolve this soon. What does soon mean? A day, a week or a month? Not very long, within a few days. An engineer is looking into it. This should have been resolved in the latest patches.